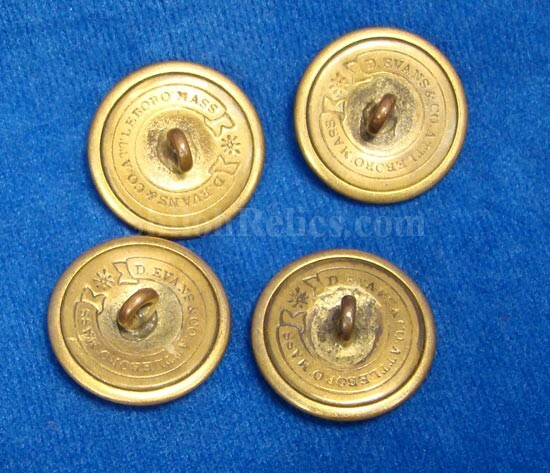 This is a fine group of 4 original Massachusetts buttons. 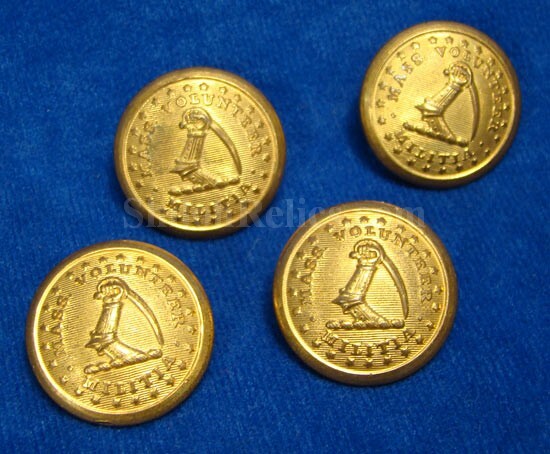 These are all attractive non-excavated coat size uniform buttons for the state of Massachusetts. 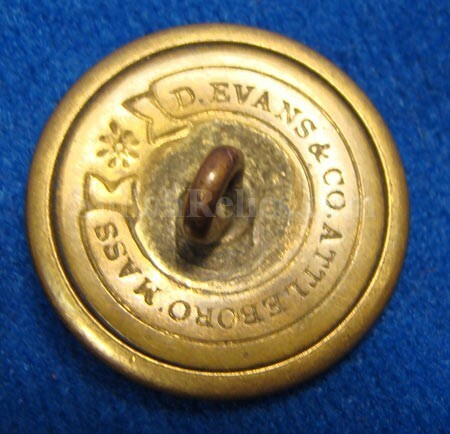 It has the famous arm and sword design of Massachusetts on the face of the button. The face of each of the buttons have a fine amount of the original gold gilding remaining with an excellent look. They all have the original backs and shanks intact with the correct Civil War backmark of the D. Evans of Attleboro, Massachusetts. They are the version listed as figure MS34 in Albert’s button book and MS208a2 in Tice’s button book. You get all 4 of the buttons for only $125.00. They usually sell for $45 each. This price is just $31.25 each.